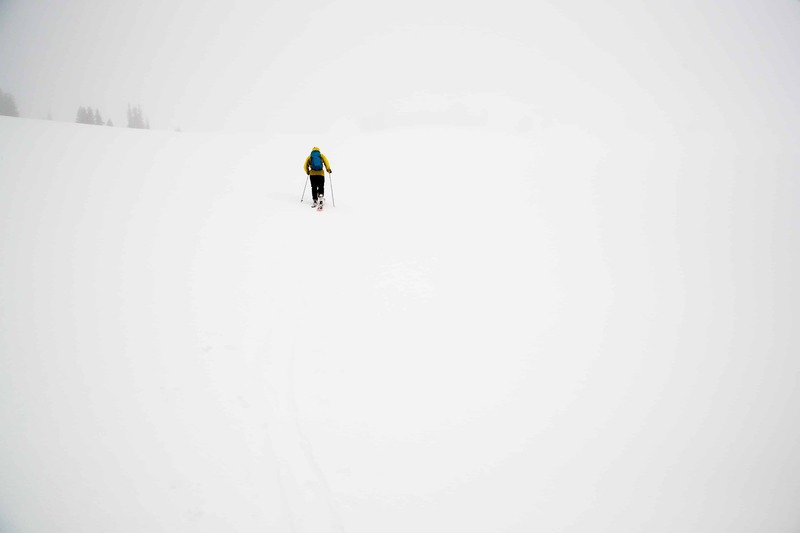 Forrest just ski over there really fast until something gets in your way, then turn. 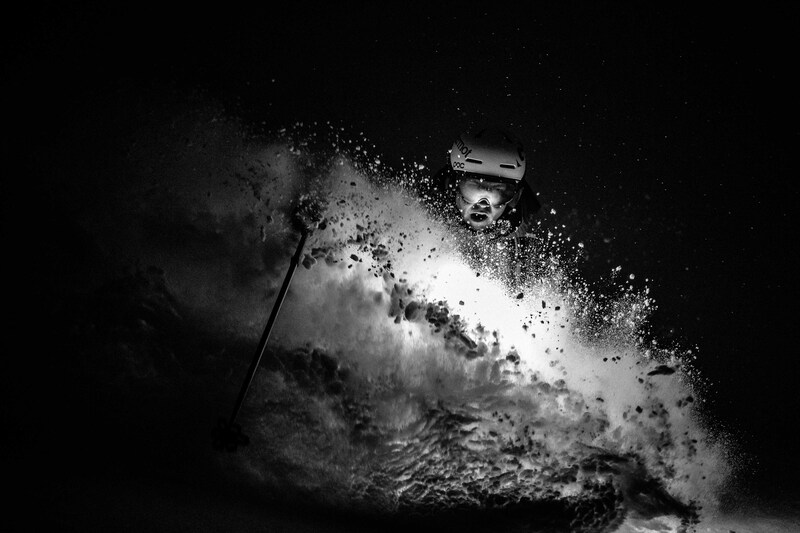 Tanner Flanagan skis powder at night on Teton Pass. 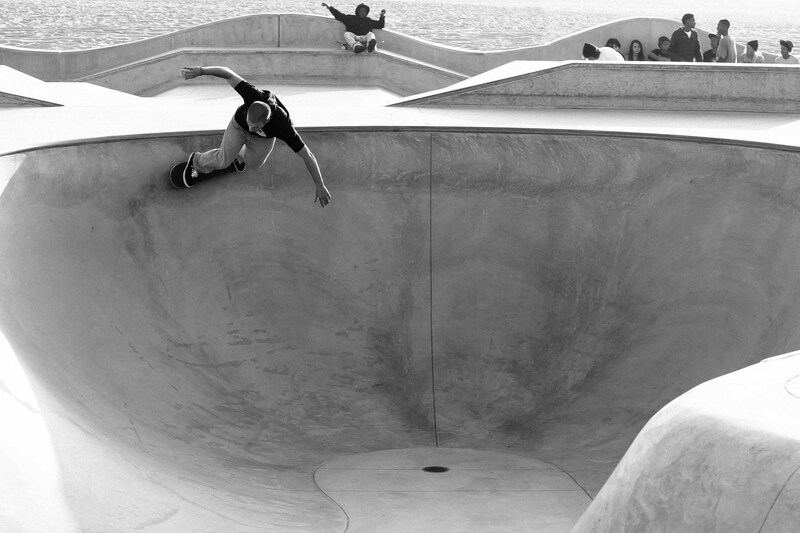 Anonymous skateboarder rides at the Venice Beach skate park in late afternoon light. 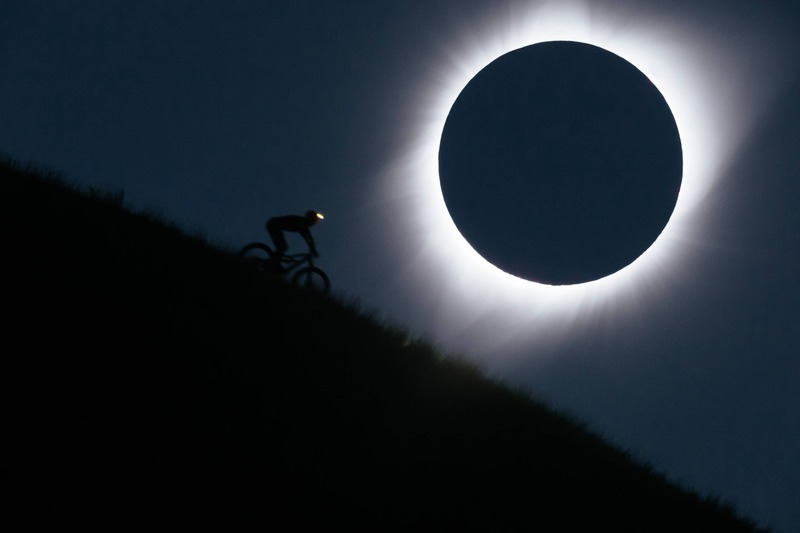 Andrew Whiteford mountain bikes with his light on underneath the 2017 eclipse during totality for this in-camera double exposure taken on August 21, 2017. 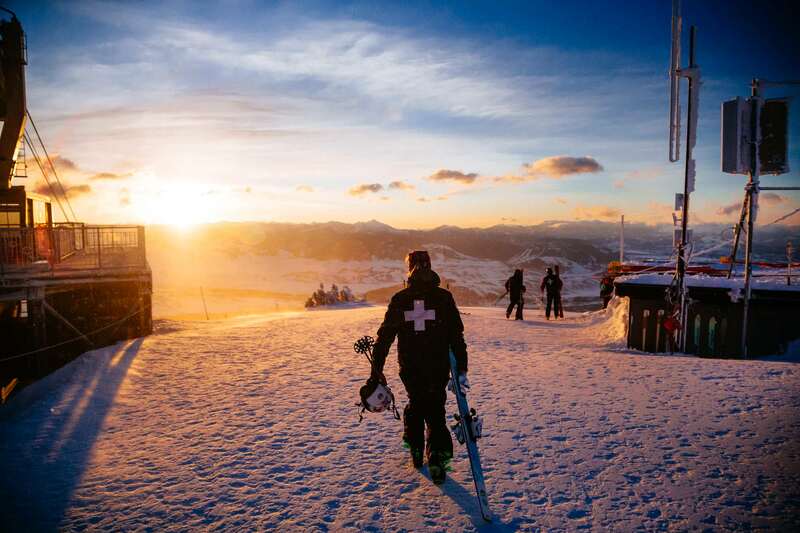 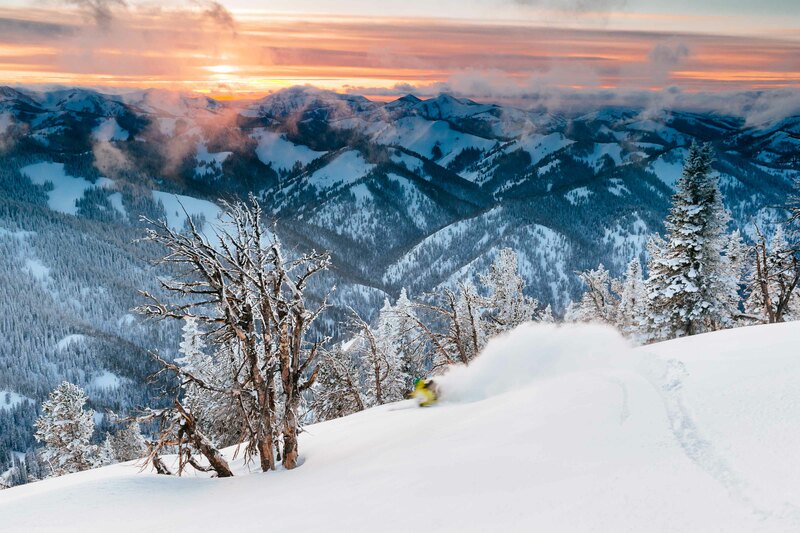 Jen Calder exits the patrol tram at sunrise at Jackson Hole Mountain Resort. 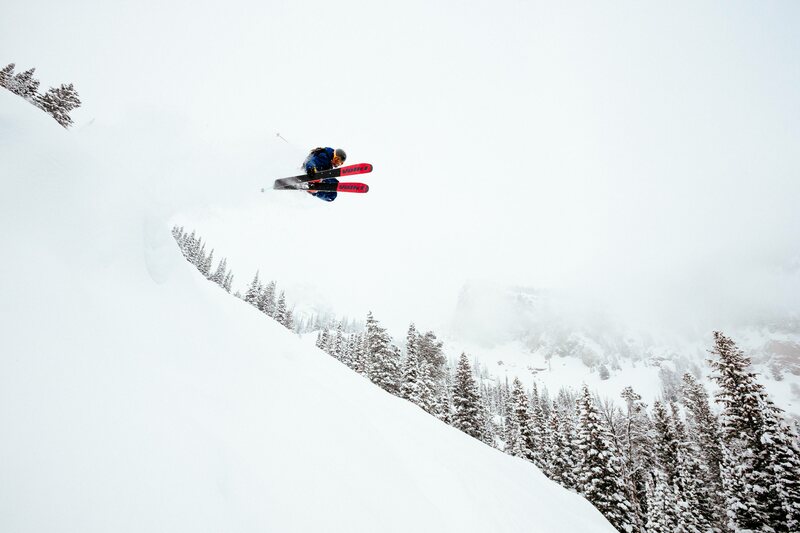 Jim Ryan grabs some air in blower powder winter storm in the Teton backcountry. 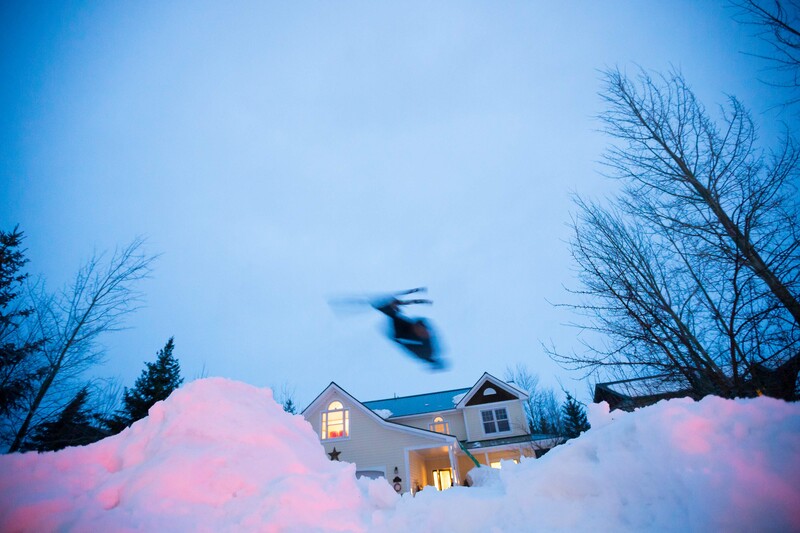 A group of local kids tow themselves down the road for speed to get backflips in their front yard. 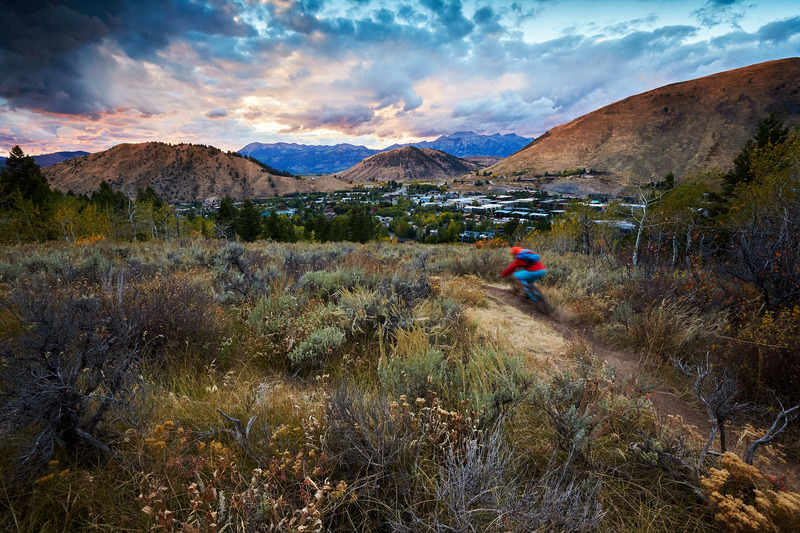 Andrew Whiteford rides autumn Singletrack just out of the town of Jackson at sunset. 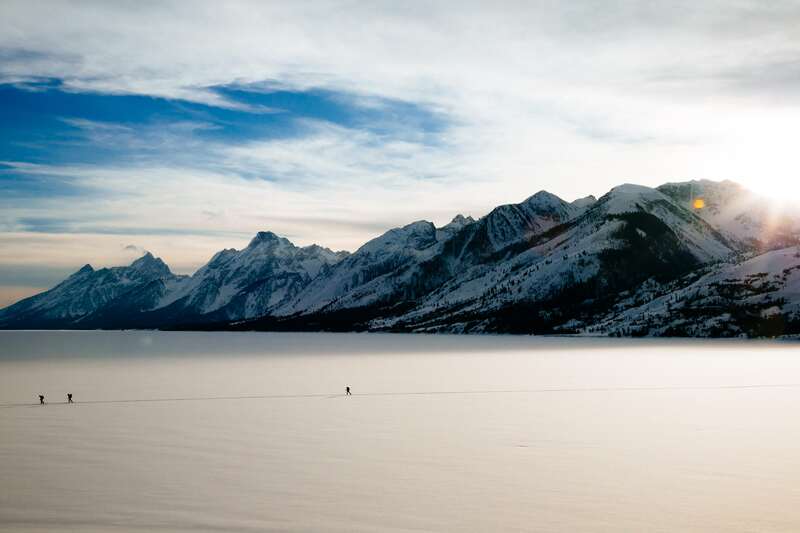 Unknown skiers traverse Jackson Lake after a day of backcountry skiing within Grand Teton National Park. 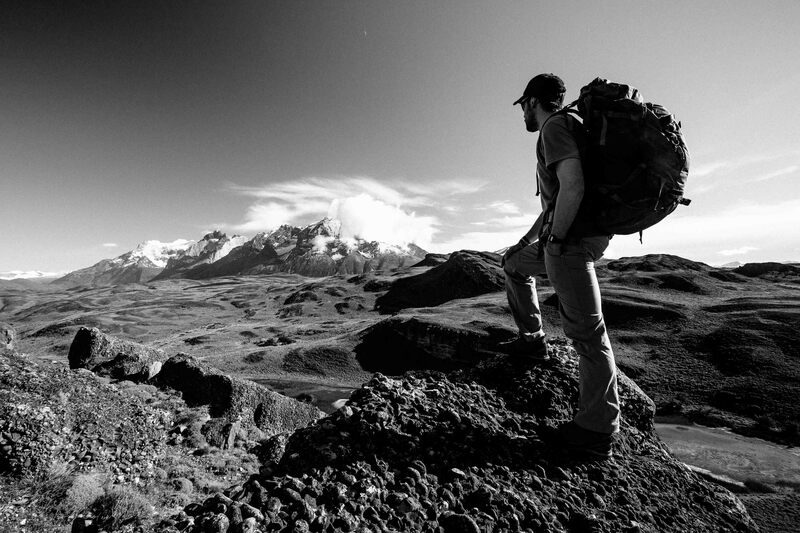 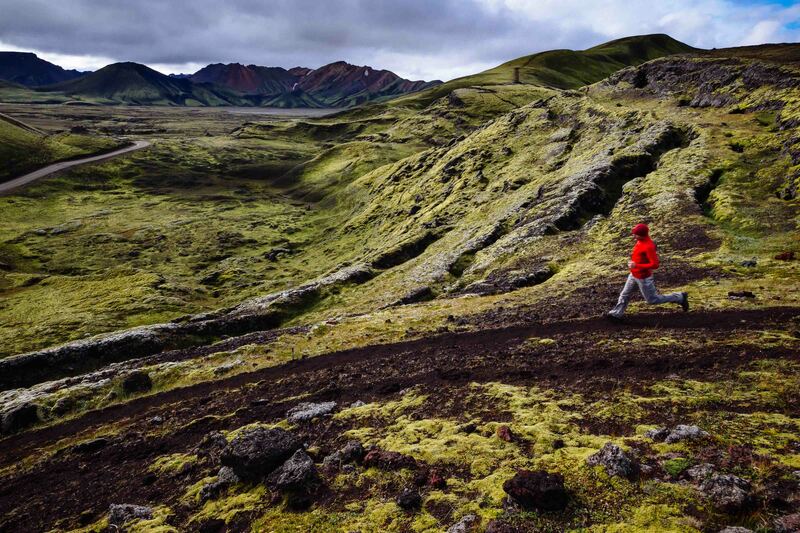 Gavriel Jecan runs through the Icelandic Highlands near the Landmannalaugar World Heritage Site in Iceland. 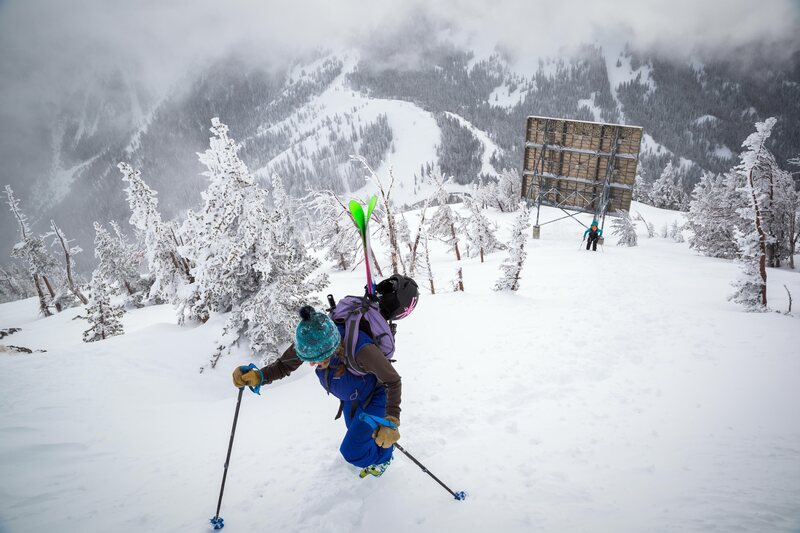 Trey Scharp and Jess McMillan hike the ridge towards Cody Peak in the backcountry near Jackson Hole Mountain Resort, Wyoming. 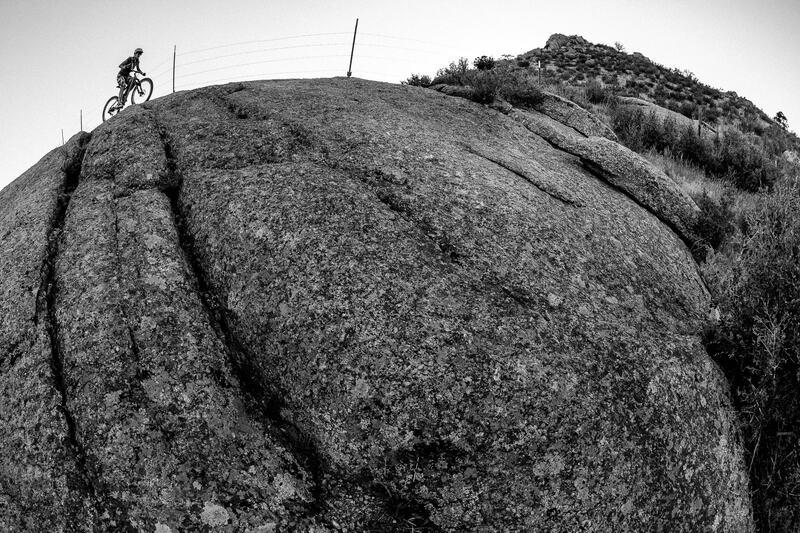 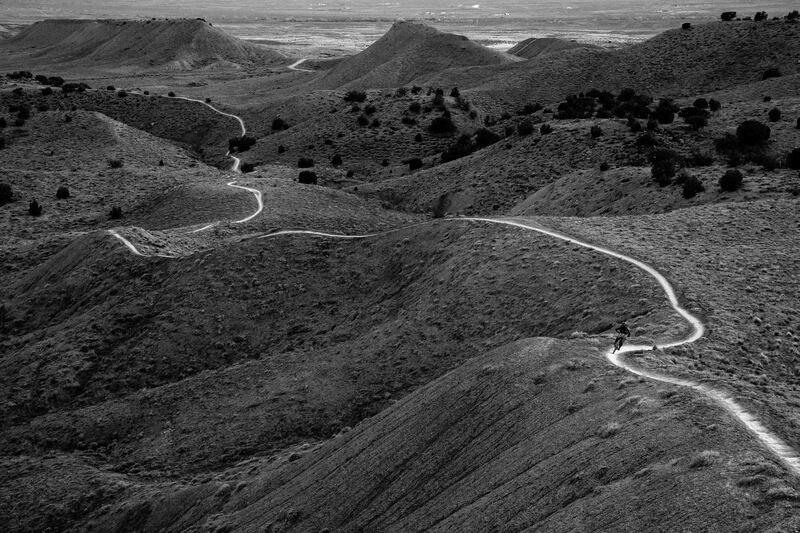 Heather Goodrich rides the Middle Kingdom Trail in Curt Gowdy State Park in Eastern Wyoming. 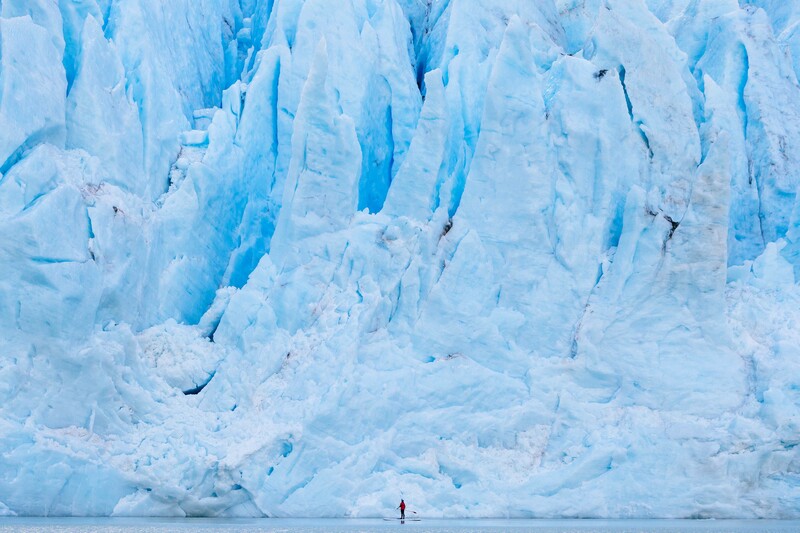 Chris Theobald stand up paddle boarding next to the Serrano Glacier in Bernado O’Higgins National Park, Chile. 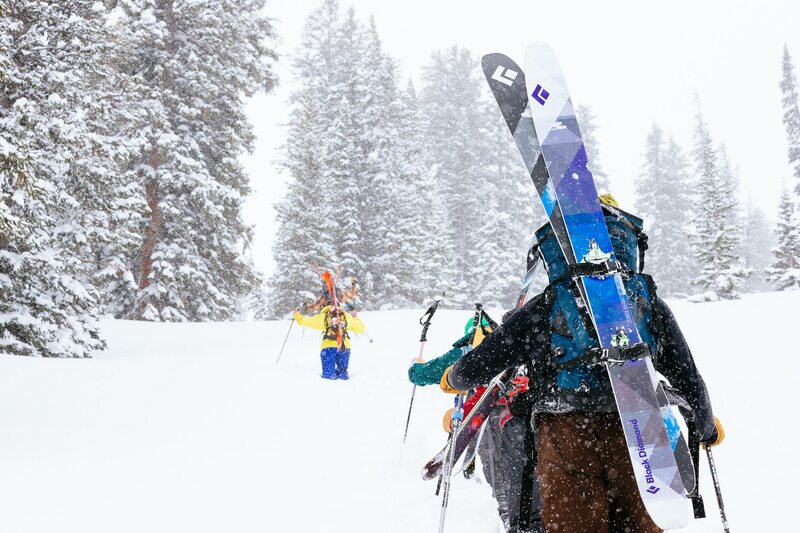 Skiers blaze a bootpack in the backcountry near Jackson Hole Mountain Resort. 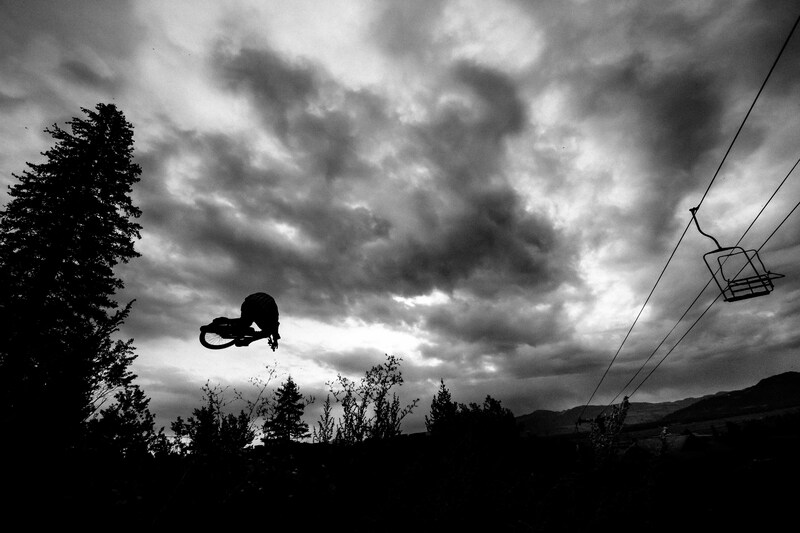 Malachi Artise grabs an air on his mountain bike as the sun rises over Grand Teton in the Teton Range, Wyoming. 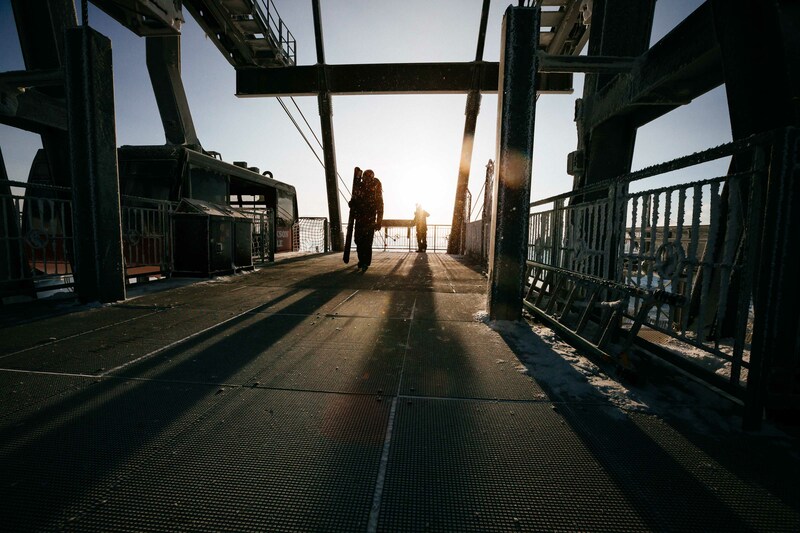 A ski patroller is silhouetted at the top tram dock in early morning light before the ski area opens for the day. 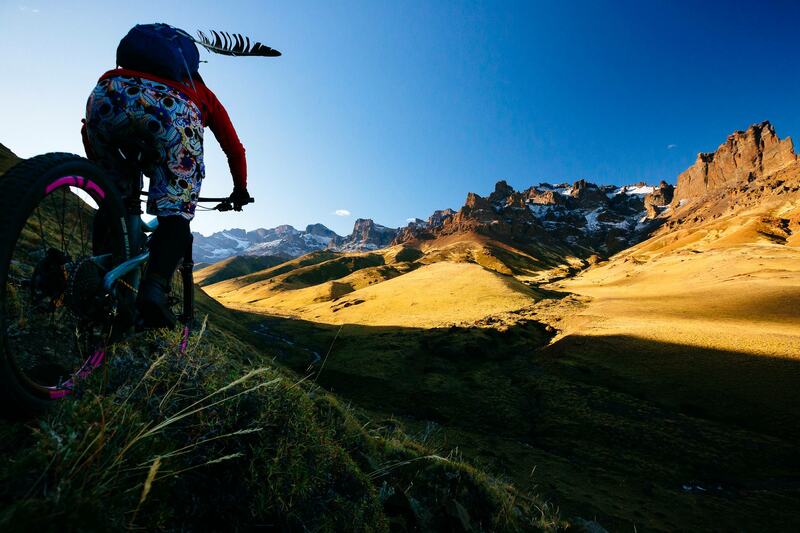 Heather Goodrich rides her Juliana mountain bike on private single track within a Guacho Ranch in the Baguales Mountain Range, Patagonia, Chile. 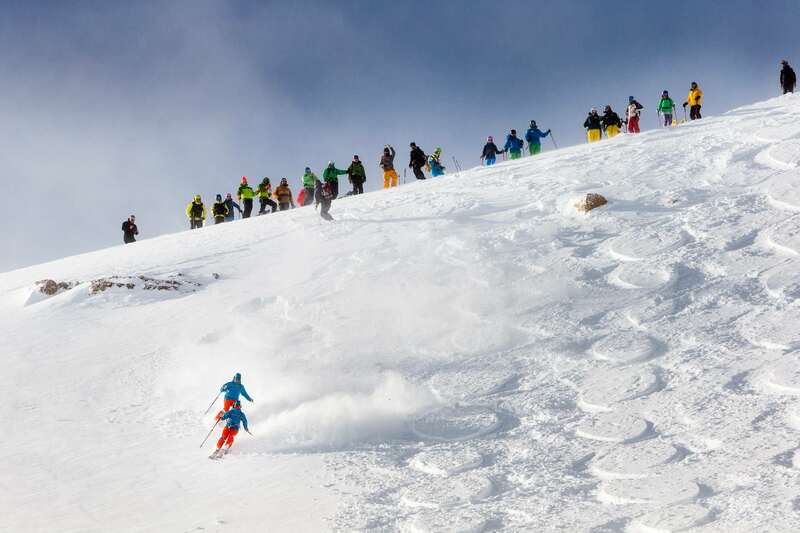 Jeff Ledger and Tanner Flanagan of Jackson ski in synchronisity below the remaining competitors. 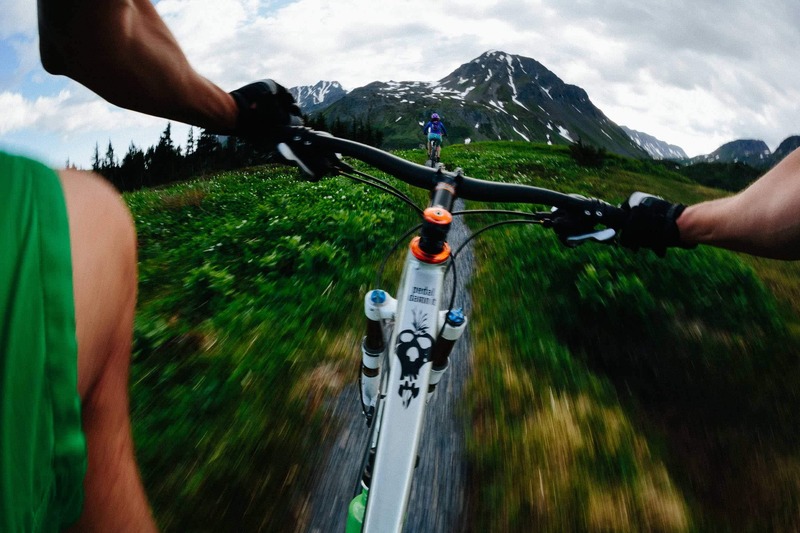 Jay and Heather Goodrich ride from a point of view perspective along the Lost Lake Trail near Seward, Alaska. 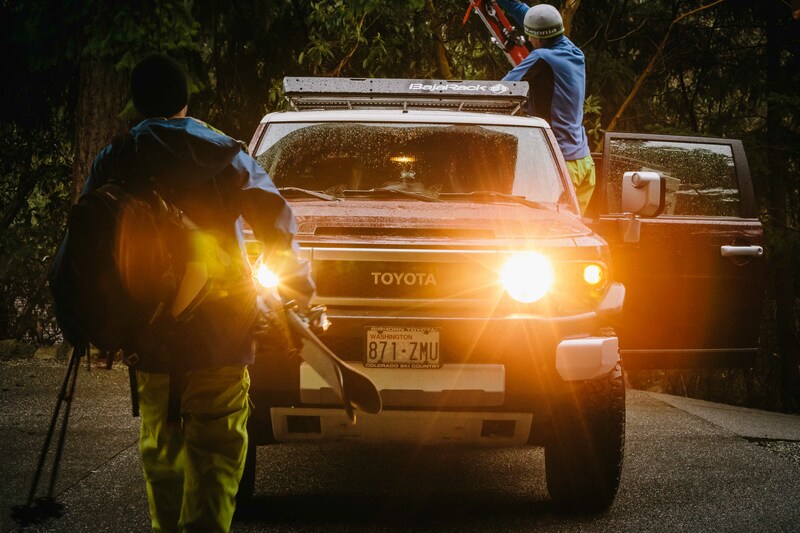 Tyler Hatcher and Jay Goodrich head to the Cascades during early morning light while rain falls in the valleys. 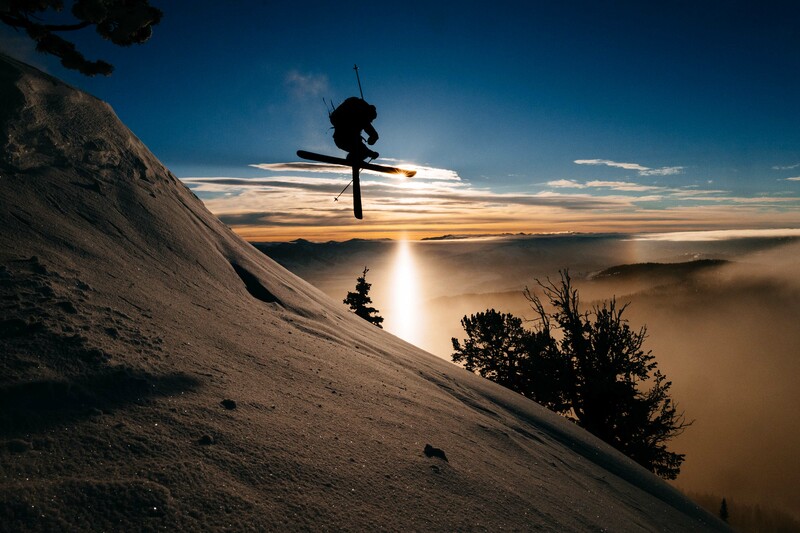 Kyle Dowman rides the lift accessed trails and features of Jackson Hole Mountain Resort in Teton Village, Wyoming. 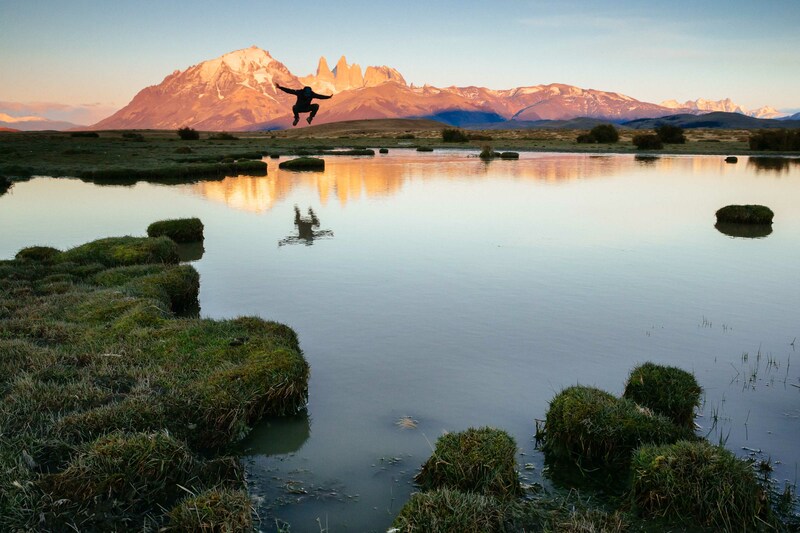 Chris Theobald gets a little air in front of the towers at sunrise in Torres del Paine National Park. 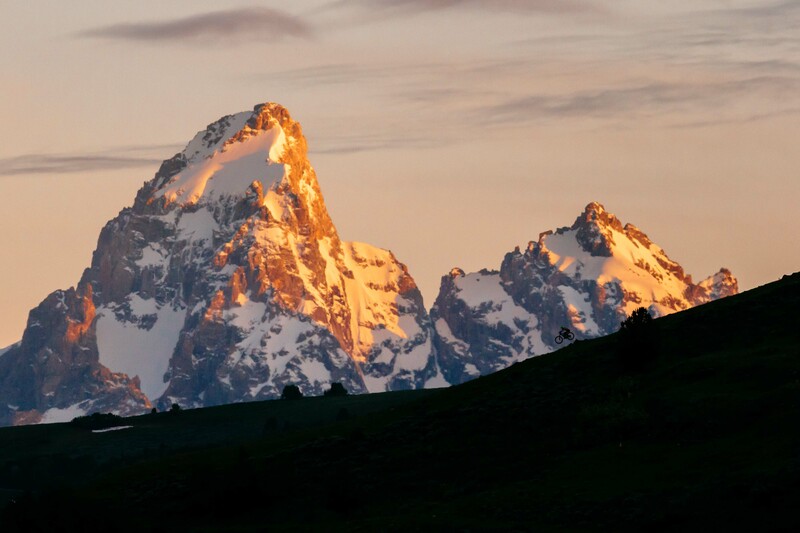 Heather Goodrich hikes to the top of a peak in the Teton Range to ski untracked powder. 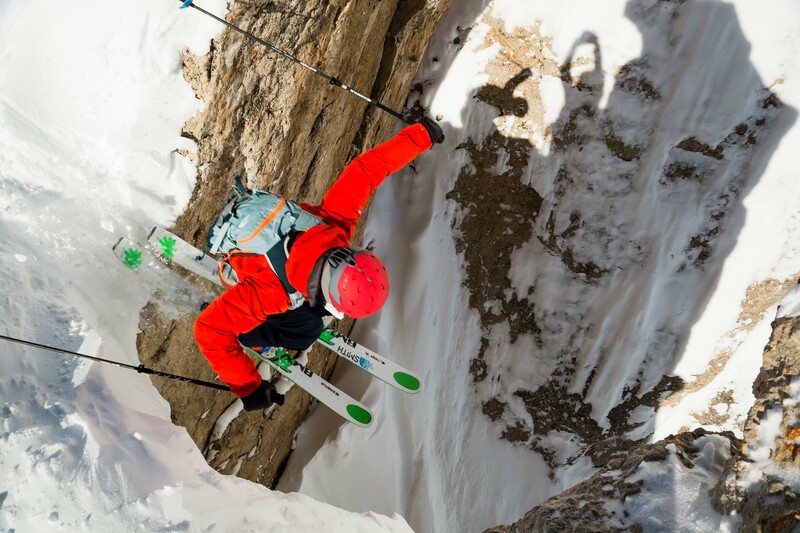 Griffin Post drops into S & S Couloir inbounds at Jackson Hole Mountain Resort. 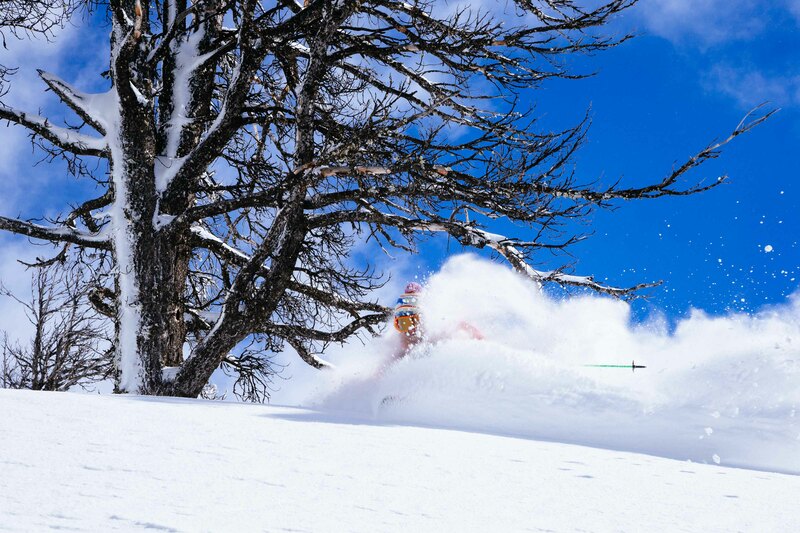 Jim Ryan finds some of the best powder of the season in the backcountry of the Tetons. 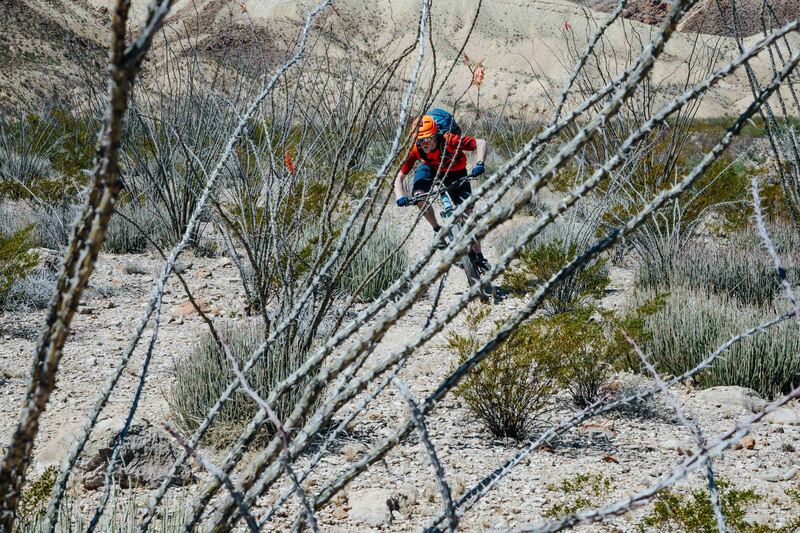 Andrew Whiteford speeds through the thorns and rock of the west Texas, Big Bend region of U.S. Mid-West. 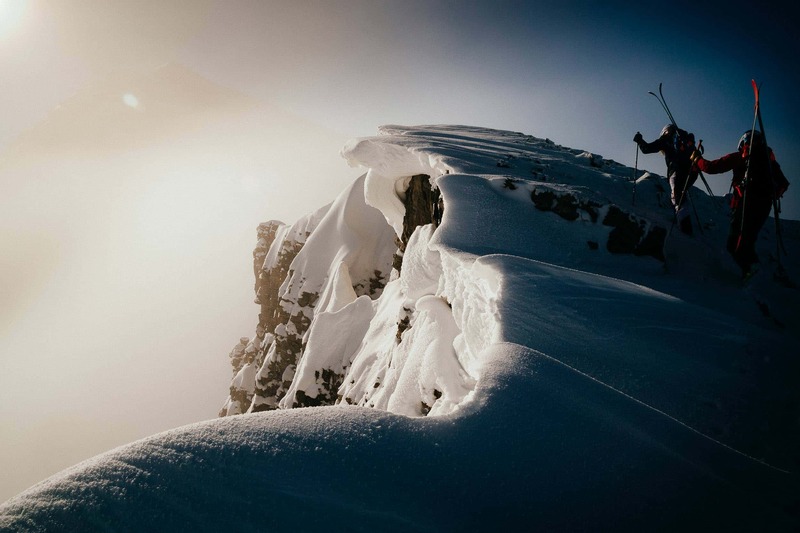 Forrest Jillson skins into the abyss to ski more untracked powder during a major winter storm in the Tetons. 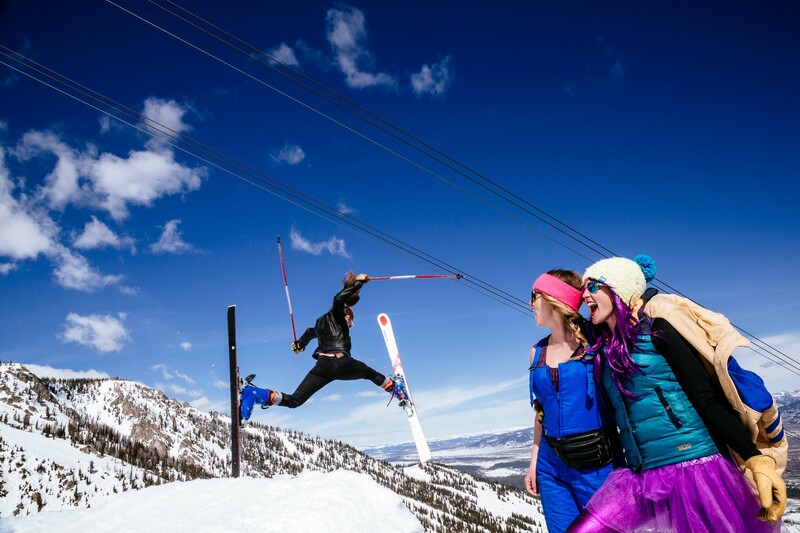 Skiers throw airs off a jump at the Gaper Day gathering at Jackson Hole Mountain Resort.